I have not got to go out in the field with my new 500mm for any testing on real “wild” birds. But my Father has been giving me some nice local specimens to test the sharpness of my new long glass. So far, I have been pleased with the results. 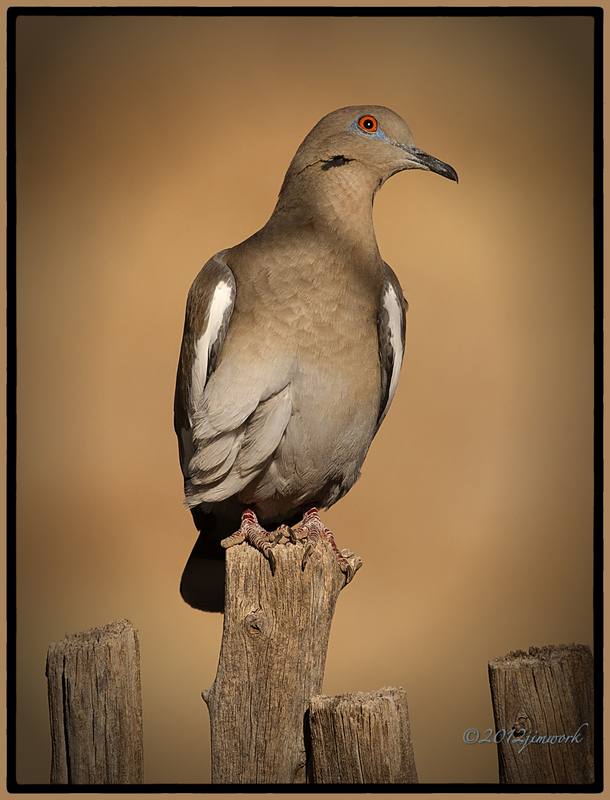 When looking at this White wing Dove (Zenaida asiatica) from my back yard, I could see that she has lost a bit of her right outer claw. It does not seem to have hurt her status in the “bevy”. The eye really draws you in!